Save the Date: September 20 & 21 - 2019 Back in the Woods Again Hunt! 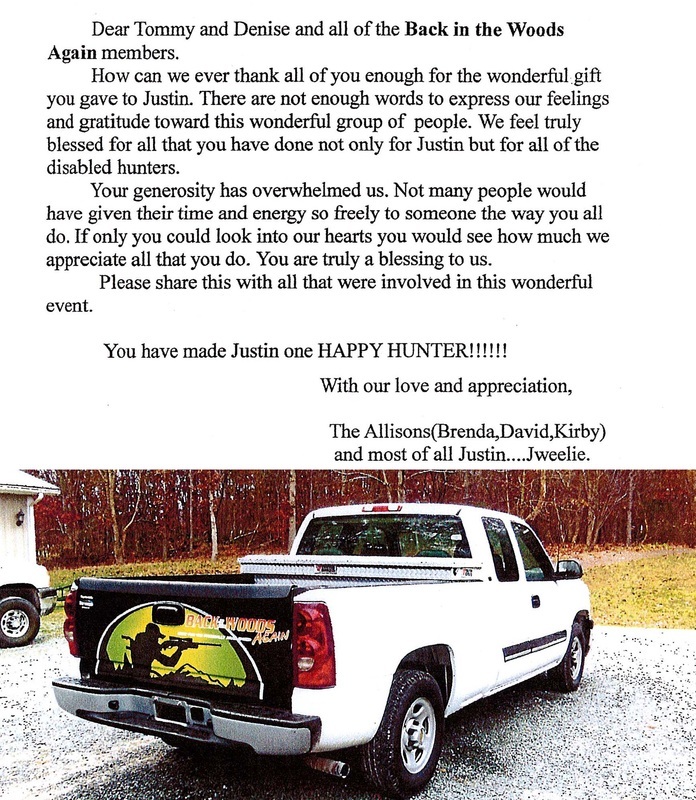 Thank you to volunteers, community members, local churches and businesses for making this a successful hunting experience for physically challenged individuals. Back in the Woods Again was founded by Tommy Estridge & Jerome Davis. Davis was a World Champion bull rider who was paralyzed after being thrown from a bull in 1998. The organization was founded in November of 2011 to provide disabled sportsmen (men, women & children) a chance to get back into the woods again to deer hunt. Tommy & Jerome partnered with private land owners in Chatham and surrounding counties for the event, these land owners have committed their time, labor, money & property to provide each hunter with an unforgettable experience. Prior preparation is made by the event hunting-guides, land owners, and volunteers to setup hunting sites with blinds and arrange transportation to and from the hosting location. The NC Wildlife Resources Commission issues a special permit for an early hunt. This event has approximately 200 volunteers. Our Mission: To provide a safe hunting environment for wheelchair bound individuals, children with disabilities and other physically challenged individuals that could not otherwise hunt. A special Thank You to the volunteers, community members, local churches and businesses that make this event possible! Provided 2 nights lodging for hunters from North Carolina, South Carolina, Virginia, Pennsylvania, Maryland, Tennessee, Alabama and Illinois. Volunteers built a 24x24 ft. addition to a single wide mobile home for one of our quadriplegic hunters. The room has a large bathroom with a roll in shower and a built-in lift that will carry him from his wheelchair to bed and other places in the room. The volunteers also built an 8x12 ft. deck. The Back in the Woods Again Organization wants to extend a special thank you to YOU for helping us make this a successful event. We hope, with your help, to do even greater things at future events. 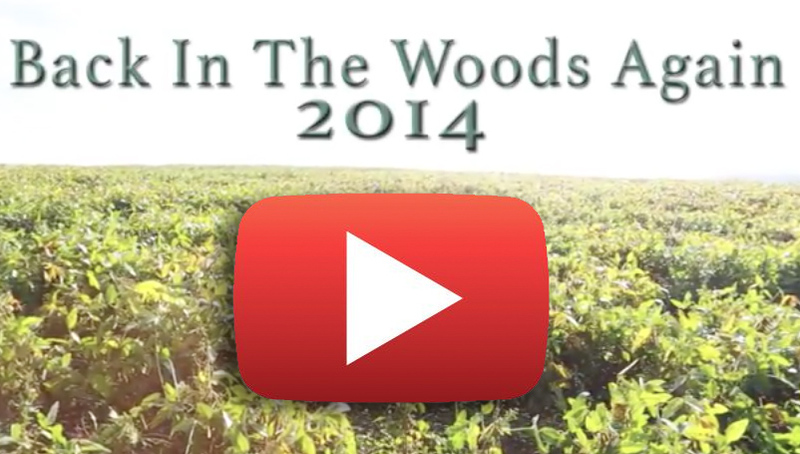 Back in the Woods Again is a 501(c) 3 non-profit organization. A Letter of Thanks from the Allisons! Click the image above to view a sample of our 2014 Event! We encourage you to view the video below from Van Products to get a better idea of what we are all about!